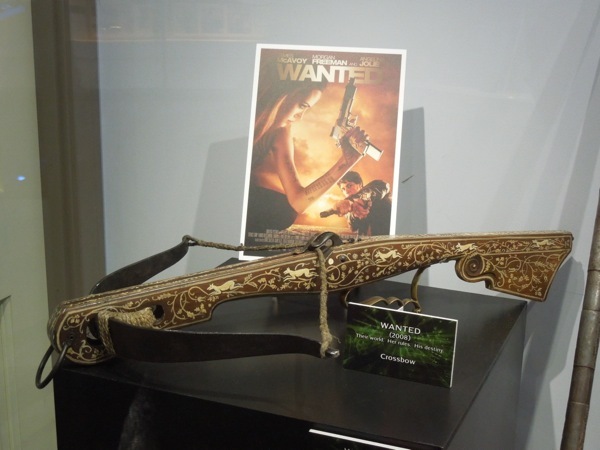 In the 2008 loosely based adaptation of Mark Miller and J.G. 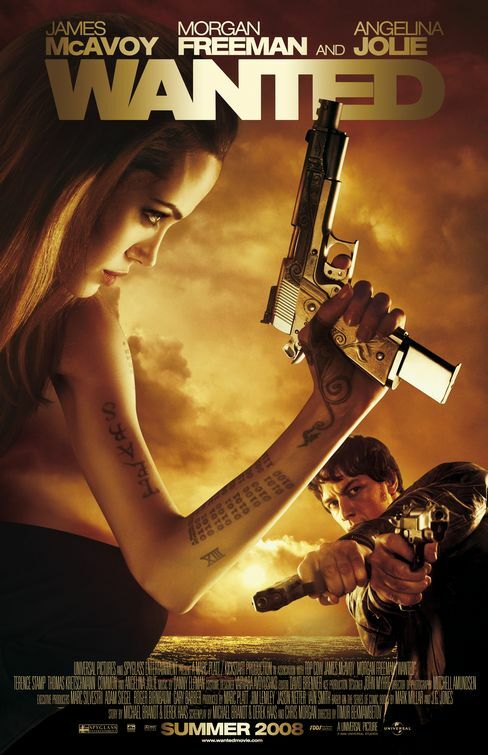 Jones comic book series Wanted, James McAvoy stars as 'Wesley', a frustrated office worker who discovers he's the son of a professional assassin belonging to a secret guild called 'The Fraternity', whose members also include the likes of Angelina Jolie (Fox) and Morgan Freeman (Sloan). 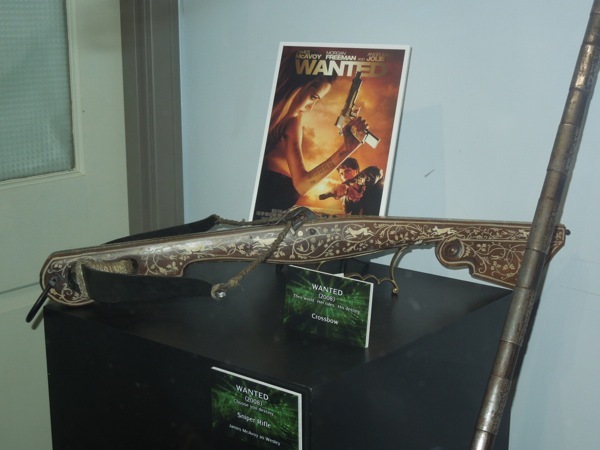 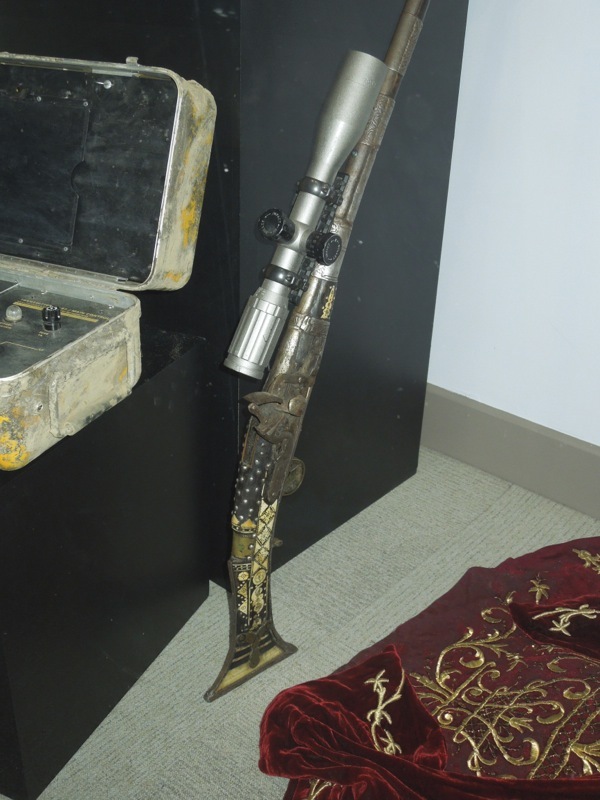 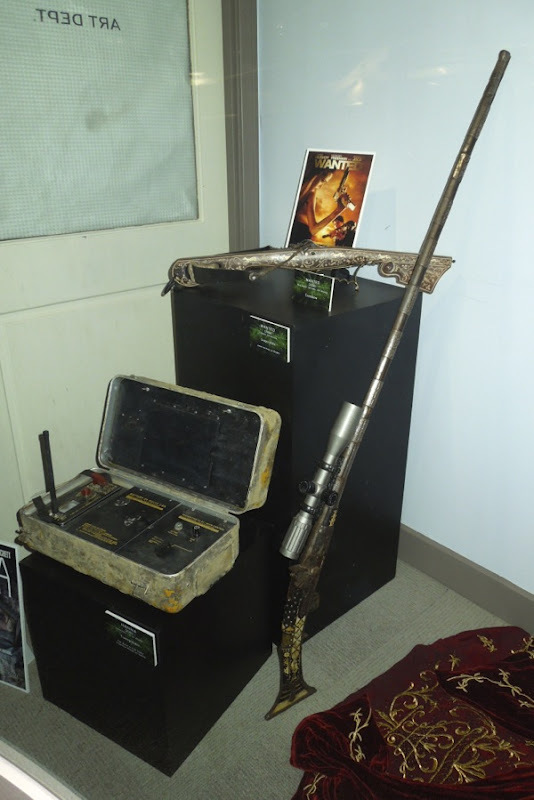 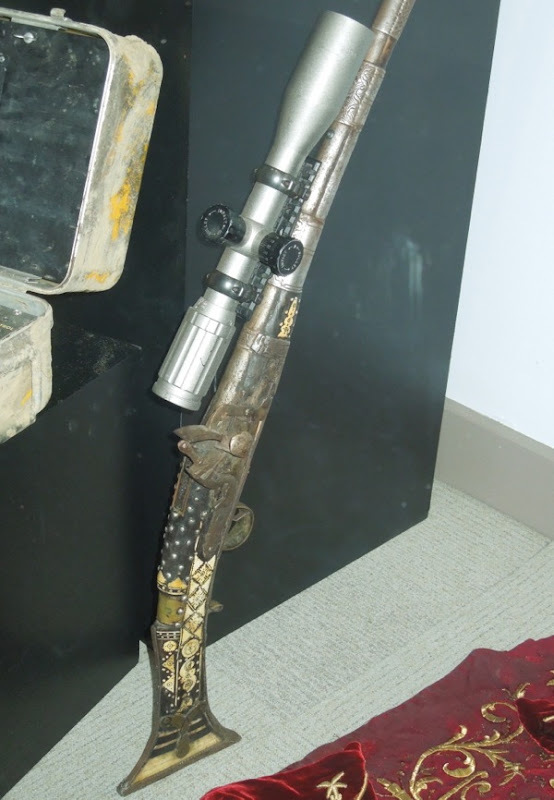 These cool crossbow and rifle props from the movie with their ornate decorations and handles, were photographed on display at Universal Studios Hollywood on May 7, 2013. 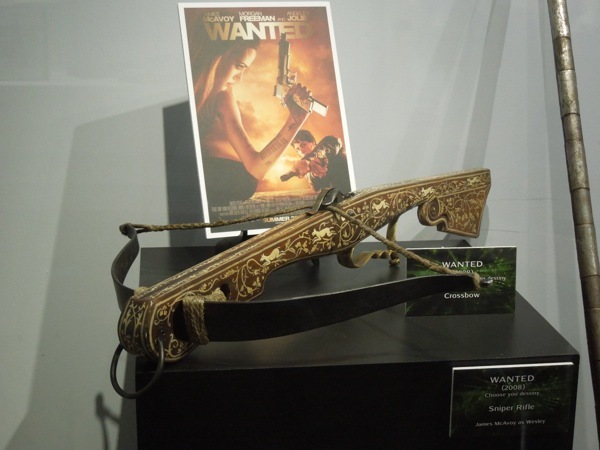 If you're a fan of the movie, be sure to click through to check out these other weapon props and costume accessories worn by Morgan Freeman in Wanted. 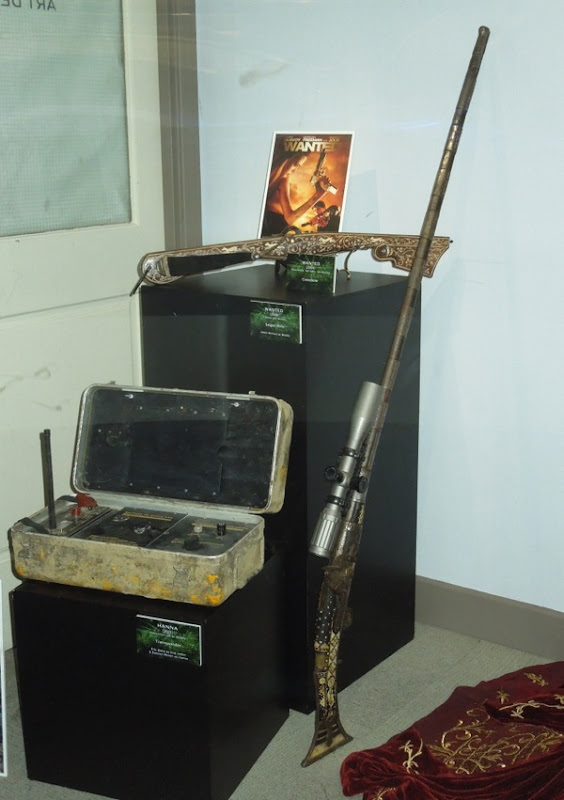 Plus if you're wondering what that box is beside the weapons, that's a transponder prop from the thriller Hanna, which coincidentally was about a teenage girl assassin.